In the fourteenth installment of this series, we’ll hear from three pitchers — Yoshihisa Hirano, Joe Musgrove, and James Paxton — on how they learned and/or developed a specific pitch. “I started throwing it when I turned pro in Japan. The truth is, when I was in college, I was able to get hitters out without having a splitty. 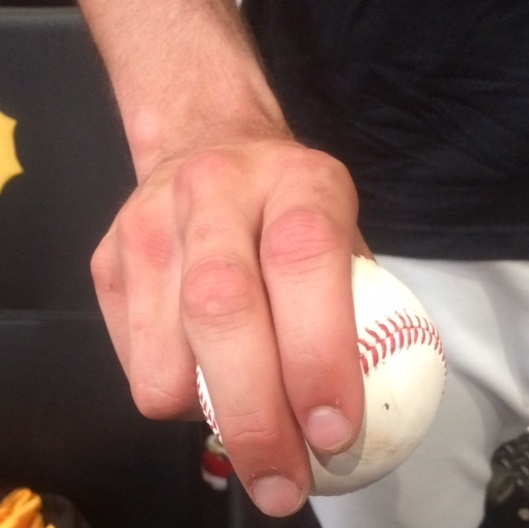 A fastball and a slider was enough. When I got to the pros, there was a lot of talk of needing a pitch that comes down and about how there’s more success with that pitch. I started toying with it a little bit my last year of college, and when I got to the pros I started using it. “Kazuhiro Sasaki was a big splitty-forkball thrower. There are some books about him, and I studied those. No one really taught me anything. I just went out and started playing with it, checking the books on how he grips it. I found a grip that was comfortable for me. 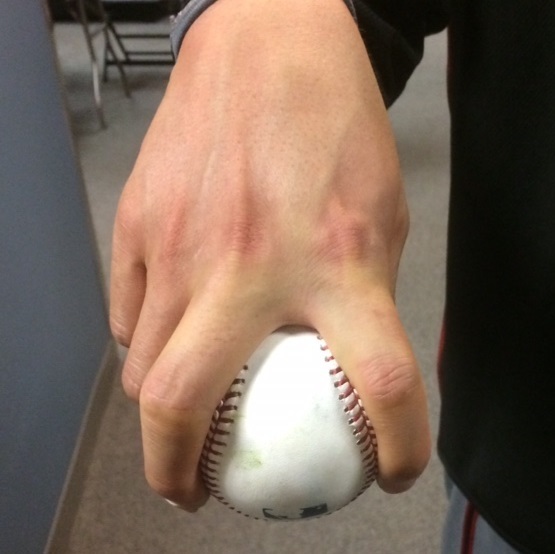 There are some guys who throw it the same way, but there are other pitchers in Japan who grip it differently, too. They have a different placement within the seams. “My cutter has become a good pitch for me. Jerome Williams, who’s been with Houston, the Angels, San Francisco — he’s been around awhile — showed me the one he learned from Mariano. It’s a similar grip. I just don’t do as much cocking of the wrist. There’s not really manipulation, I just throw it like a fastball. “In Triple-A, I was basically just fastball-curveball. Being a two-pitch guy, my pitching coach, Dwight Bernard, came to me and suggested adding a cutter to my repertoire. It was something to get off the barrel, and it was a pitch that would be easier for me to throw for strikes at the time. After that, Terry Clark also helped me continue to work on it. “I throw it like a cutter, but it moves like a slider. I don’t get around it and make it flat. I don’t really know why [it moves like a slider]. Maybe I am gripping a slider, but I have to think cutter and keep my hand through it, and on top of it, in order to get the shape that I want. I like having some depth on it. We hoped you liked reading Players’ View: Learning and Developing a Pitch, Part 14 by David Laurila!